I love my Kindle, ever since I got it, I’ve thought it was great. Do I miss reading real books? Certainly! Does it outweigh the convenience of the way I read eBooks? Not a chance! I’ve always got a few books with me and it still weighs the same. CONVIENENCE: With paper books, I always had one in the car and one in the house. I tried to make them two different kinds of books so that I don’t get confused over similar plots (I’d avoid two mysteries at the same time). With my Kindle, I always keep it in the car (I can charge it with cell phone charger) so when I put the same book on the Kindle (in my car) and on my Kindle app on my iPad (in the house), I’m always on the same page since it keeps them synced. This is great, I’m reading the same book in both places. I can even put the same book on my Kindle app on my iPhone and it’s on the same page too. I hate reading on my iPhone since the pages are so small, but if I don’t have my Kindle or my iPad, it gives me something to read if I’m stuck somewhere. If it starts raining while I’m out running and I take shelter somewhere, I can still read (or I’m meeting friends and they are late). BETTER THAN A TABLET FOR OUTSIDE READING: The Kindle is great for outdoors and my iPad is great for indoors. If I want to read outside on the porch I’ll get the Kindle to read outside or grab one of the few paper magazine subscriptions that I still get. The glare that you get outside on the iPad is the same glare you’ll get on the other color tablets (Kindle Fire and Nook HD). Only the black and white eReaders look readily good outside. YOU CAN TEST DRIVE A BOOK: Most Amazon Kindle books are available with a preview of the first few chapters for free. I CAN BORROW BOOKS: Some libraries are able to lend you Kindle eBooks (large selection for most Michigan libraries via the state). You can borrow Amazon eBooks from friends who have a Kindle. You can join a free on-line book lending club like lendle.me (please use my referral code TTXLDIO1 if you do and I get a few extra borrows). SUPER BONUS! I can get books that do not exist in print! Some authors big and small only release some books in eBook format. Usually for the really big authors it’s some super short book (“singles”) and they’re only a few dollars. MONEY: Prices are another great bonus, some authors (more independent authors sell their eBooks for $4.99 while the paperback might be $9.99. Some authors have been releasing books as eBooks first since they can get to press faster. One of my favorite authors is updating one of my favorite kids/YA series of books so that they are a little more modern, she starting writing these books 30 years ago and things have changed since the time of the Apple II (we now have internet, smartphones, WiFi and text messaging) while at the same time clarifying some plot points and even adding a few scenes and plot enhancements, these are only available as ebooks at this point. YOU DO NOT HAVE TO SHOP AT AMAZON.COM FOR YOUR BOOKS: You can buy your books other places and put them on your Kindle yourself. It’s not as convenient, but sometimes it’s a bit (or a lot) cheaper. SUPER SALES: Cidney Swanson just released the 4th book in her excellent Saving Mars series (titled Mars Burning) currently only available as an eBook. As a bonus she put the book on sale for 99 cents for the first few days to help get the word out. Where are you going to get a new book for that cheap anywhere? While writing this, I just noticed the first 3 eBooks are also on sale for 99 cents!!! These are not small books, all the printed copies are 350+ pages long. This looks like this ends Aug. 8th, 2013 and will (probably) be $4.99 each after (but you can get the whole set for $3.96 now!). These are on-sale at the same price at the Nook and Kobo stores too! Book 1 is free at the Kobo store. All these bonuses at once are more the exception and not the rule, but it’s a pretty nice thing that happens occasionally. APPS FOR MY iPAD and iPHONE (and other devices): You do NOT need a Kindle to benefit from the features that I talk about. You can just put the app on your iPad and you can get the cheap books and use books from other vendors and everything. But it’s going to have the glare on the screen if you go outside (the same glare that the Kindle Fire will have outside too). I KEEP MY ELECTRONICS MANUALS ON HAND: As an added bonus, my Kindle will read PDF documents. So I’ve put the manuals for all my portable devices (cameras, GPS, bluetooth speakers, car stereo, bike rack, etc.) on my Kindle so that I’ve always got them with me (just in case). I rarely use them, but the few times I’ve needed them while on vacation, I already had them with me. The PDF viewing is not as nice as the Kindle eBooks, but it is usable. It generally works very well for portable device manuals that are normally pretty small anyways; a large full page manual would be hard to navigate around on the small screen (but it’s doable if you just need to look something up). Most of the features I listed above are Kindle specific, other brands may have similar features (or many not. It really wasn’t that long ago that people didn’t have e-mail. Twenty years ago* Dephi was the first commercial on-line service to offer internet e-mail to it’s customers. I’m not saying some people didn’t have internet e-mail before that, I’m just stating this was a turning point even though it was still a while before other providers offered the same service. A few of you may have had e-mail before then, but if it was a commercial service, it was likely an island (people could only e-mail other subscribers of your service) and some larger universities started rolling it out for students around the same time. At the time, it was where can I go to check my mail when I’m out of touch. On-line access from other places was an issue. Laptops were expensive and if you had one to take with you, you needed to tie up the phone line to use it. Dial-up was generally the only way to access the internet and if you went somewhere else where you didn’t have access, you couldn’t check your mail. Even if someone had a computer, it didn’t mean they had a modem and even if you brought your own, it didn’t mean they had a phone line near the computer. These days, it’s an issue of how many places do I need to check my messages. E-mail (work, home, old accounts), text messages (home and/or work), Skype messages, Facebook and any other countless services you may have. Plus, every time you buy a device or get a new service someone gives you a new e-mail account (cable company, eBay, cell phone company, iPhone, iPad, smart phone, etc.). Your charge cards, banks, health insurance and more all have their own private messaging system that send you an e-mail to tell you that you have a message on their site, “your fill in the blank company has sent you a message, please log into your account to read it”. Those were just the practical sites, you’ve still got social networks (Facebook, MySpace, Google+, Twitter, FourSquare, etc. ), photo sharing sites, YouTube, travel sites, dating sites, technical support sites or some sites related to some hobby you may have; odds are you don’t have all of those, but you probably have some. We’re more connected. But are we better connected? This isn’t really the post I started to write, but where I was trying to go is such a big subject, I think it’s going to take multiple posts. I don’t like sitting at the computer all the time, so why do I do it? Because that’s where all the information is at! With KindleFeeder.com I get my information sent wirelessly to my Kindle (I have the Kindle Keyboard 3G) automatically twice a day and I can read it anywhere! It’s in a magazine format that makes it really easy to navigate around. It looks pretty good on the iPhone and iPad Kindle readers too, not exactly the same format but still very easy to navigate. So I’ve got 38 FULL feeds that I removed from my Google Reader: NYT, BBC, Economist categories I like (science, tech, most e-mailed), a few other (long post) blogs, some finance (Get Rich Slowly and The Simple Dollar), and a few learning Spanish sites (that I’ve never read before). Then I added a dozen feeds that were popular at KindleFeeder. I took those feeds were on my Google Reader and I put them in a KindleFeeder category, so I’ll know that I don’t really need to look in there for those articles (unless looking for something particular) and eventually I deleted them. These are my longest, most interesting blog sites (that aren’t very colorful) that I can read on the go, very comfortably, even in the sun. Bottom line: I think KindleFeeder.com is well worth the $20 a year! Convenience and time is everything. So try it out! You can generate some sample issues (10 feeds with up to 512 MB of images) without paying anything to try it out (but you need to try it for a few days in a row, it’s a little overwhelming the first time you run it on a few sites since you get everything). Warning! The downside is that it doesn’t work easily on the newer (late 2011) B&W Kindles unless you transfer the files via USB (super inconvenient, IMHO). You can read the articles fine, but it’s not in the easy to use navigation. Geeky stuff you really don’t need to know: I was worried about the number of images (4 MB max per delivery), but the first time you add a feed it adds all the past articles, once you’re past that (issue) I think it’ll be okay; some feeds only update a few times a week, but they’ve still got a history. Two feeds each had a history of 20 items were both each over 3.5 megabytes, so they looked bad the first time, with twice daily deliveries it’s rare I miss an image; I put the few sites that I don’t care about images last, so if any turn up missing, it’s those. It has a clips feature that will let me easily mark something on the web (via the Kindle) to save it and thenI can delete that “issue” from my Kindle, so that’s good (but I don’t know if I can “un-clip” them later). From the Kindle (if you’re a paying subscriber) you can even request the delivery of another issue at any time (and if you have a 3G model, you can pull it down free over the 3G network). What I think about the Kindle Fire. It’s a Kindle. That’s the number one point, Amazon seems to have the eReader market and I believe they’ll have it long term. And in case I’m wrong, I’ve got the Nook eReader App on it too (with several other eBook readers, Kobo, etc.). I think the price of this is subsidized on the fact that they hope to sell you movies, music and books. That said: This Apple FanBoy says the Kindle Fire is an AWESOME product. It’s a killer product for $200. The number one thing for you to understand: The Fire is a LCD display, it is NOT eInk (the black and white viewable in sunlight display). The Kindle Fire has the same kind of glare as an iPad would have outside (have you seen the add with the guy and girl at the pool?). This display is backlit and can get washed out in bright light and uses lots of power (I’m not saying it’s not usable, I’m just saying it’s not a B&W Kindle), see the video below. I don’t think it’ll be competition to the iPad – it’s not even close to being able to stand up and compare features one-to-one. But, I think some people will get it and it’ll be “enough” for them to get by (and NOT purchase an iPad). First off, I’ll say I was wrong with the first thought. I said over and over that this should NOT be compared to the iPad. But now that I have it, it should be totally compared, but compare it to the iPad 1 (since the iPad 2 has cameras). Think of it as the 7 inch iPad, but with only 8 GB of storage but Apple would charge $300-$400 for it. Second item, that’s part of why I bought it, to hold me off from the iPad for another year, to get me to the iPad 4. They do need to polish their eBook reader app on the Kindle, it’s not as nice as the black and white models (folders and sorting are missing). The reading experience is the same though. It’s actually not as nice as the iPad or iPhone Kindle reader (which just recently got some more upgrades). It’s an excellent first try it feels like it’s the second or third tablet Amazon has tried, but they’re building on Android so I think that’s part of it feeling like it’s very complete. This is great for e-mail, newsreader (RSS feeds), eBook reading, weather apps, Pandora, Zinio, The Economist, Scrabble, Overdrive, Mint, Stitcher, DropBox (for photos), YouTube videos and everything. I think it’s an amazing device. If you check your mail while you have WiFi, it’s accessible when you leave the WiFi area, you can even reply and it sends it when you reconnect. The biggest limiting factor: Amazon locking US out of the Android Marketplace and blocking many Apps from being loaded on the device. It’s inconvenient to work around to get other apps on the device. 2nd biggest limiting factor: They really need to work on the Kindle app some more to make it more like the EInk versions. Folders and syncing really needs to work better. From a hardware standpoint it’s great, I wish they had a model with more memory or had an SD slot, but since the eInk Kindles don’t have an SD slot, I won’t hold my breath. I wish it had a mic, just for some VOIP or Skyping. But it wasn’t an iPad, and I am an Apple / iOS fan, I’ve got iPhone apps and iPad apps I bought when on sale. I spent birthday money on pre-ordering the Kindle Fire in September (it didn’t ship until late November), in January I sent it back; combining the September refund with some Christmas money, I ordered the iPad 3 last week. I do fear the iPad will be too large, I really liked the form factor of the Kindle Fire. While the iPad 3 isn’t that large, the screen is almost the same size as my tiny MacBook Air laptop screen (just an inch or two along the long edge of the small MacBook Air). Don’t let this change your mind, it’s a great device. I loved reading at night with no lights on, I think it helped me to fall asleep sometimes. And it’s only $200. Amazon released a Kindle for iPhone and iPod Touch application (that link is to the US iTunes store, not sure about international release). * Buy a Kindle book from your Mac, PC, or iPhone using a Web browser and wirelessly transfer the books to your iPhone. * Read first chapters of any book for free before you buy. 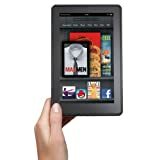 * Download the Kindle books you already own for free (they are automatically backed up on Amazon.com). * Adjust the text size, add bookmarks, and view the annotations you created on your Kindle device. Wow! Now you don’t even need a Kindle now to read the eBooks. I’m assuming the “digital paper” display is easier to read on the Kindle, but this is very cool. 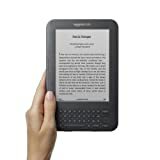 I wonder if the images look better than on the grey-scale Kindle? It looks like it will “show books in color that were developed that way“. I’ve liked the idea of a Kindle but not the cost and I’ve also been afraid of not having it with me everywhere; if I can start syncing to other devices that’d be very useful. Even if you don’t want to read a whole book on your iPhone/Touch, you can read the first chapter of all the Kindle books for free! ANd it doesn’t appear to sync magazines or newspapers, only books. And did I mention that it’s free at the Apple App store? Of course you have to buy the books. A lot of nice screenshots at the iPhone Blog. It looks like to buy books you need to use Mobile Safari (or a computer) and not the Kindle software. That’s not ideal, but it’s workable. http://GarySaid.com/tags/kindle/ generated Saturday, April 20th 2019 at 8:12:26 pm EDT (in 117 queries in 0.664 seconds).